I was super excited when I won a giveaway from Marsha on Facebook who sells Wildtree products. I've always been really curious about their products and could not wait to try them. I love that Wildtree uses natural ingredients and they process all of their products in a peanut-free facility! That's awesome for any of you who suffer from peanut allergies!! 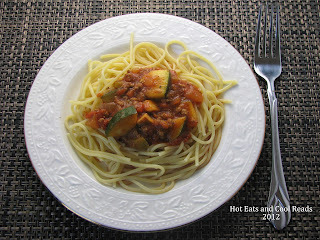 This recipe for zucchini spaghetti sauce uses Wildtree's Hearty Spaghetti Sauce Blend seasoning. I really loved the flavors in this seasoning blend. It's a perfect combo of spices for any pasta sauce! You can purchase it from Wildtree here! The inspiration for this recipe came from a cookbook that my amazing Aunt Linnea gave to me. 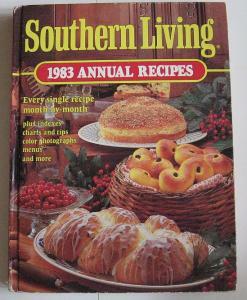 It is the Southern Living Annual Recipes from 1983. This cookbook is packed full of amazing recipes and I have a huge list of stuff I want to make from it! Everyone who has a zucchini plant, has tons of extra zucchini they don't know what to do with. This recipe is the perfect way to use some of it up. I love the flavors from the veggies in this sauce and my daughter loved it so much, she ate it 3 days in a row!! This is a great recipe if you are feeding a crowd, or you could always freeze the additional sauce for another meal. I used a one pound box of pasta and then made additional pasta for the leftovers. I hope you enjoy this recipe as much as we did!! In a large skillet, brown ground beef, onion, green pepper, garlic, salt and pepper over medium high heat until ground beef is cooked through. Reduce heat to medium low and add remaining ingredients. Simmer for about 45 minutes to 1 hour or until zucchini is cooked through. Serve over your favorite pasta! If you liked this recipe, follow the Hot Eats and Cool Reads board on Pinterest here! Have got to try this sauce! Cheers ... visiting from Mandatory Mooch! Hope you like it! Thanks so much for stopping by! Yum! Zucchini is always a great addition to pasta! I love adding zucchini to my spaghetti! 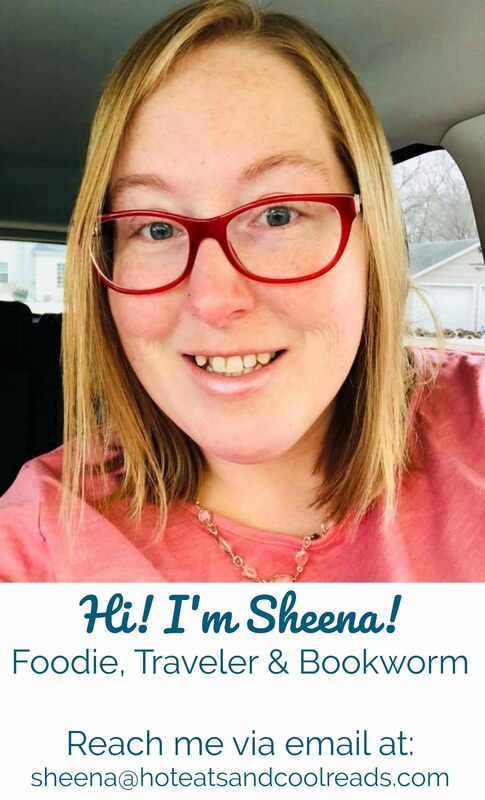 Thanks for linking up at Foodie Friends Friday! Don't forget to come back on Sunday to vote. Oh, goodie, you are now following Carole's Chatter. Thank you very much. Have a great week. Congrats on winning! Thanks for joining Foodie Friends Friday! Please come back on Sunday to VOTE! This pasta dish sounds great! Thanks for sharing on Foodie Friends Friday! This sounds awesome, I'm always loving new pasta recipes! This is my first Foodie Friends Friday!! Glad to have stopped by! This looks amazing. Thanks for sharing on Foodie Friends Friday. Great sauce! Love all the vegetables! Thanks for pinning and stopping by!! Zucchini is the best! I've used it in meat recipes before (like meatloaf and pulled bbq chicken) - you can't even taste it, it's such a sneaky way to get a good veggie into food. I love adding zucchini too! Thanks for hosting!! Comments make my day! Comment moderation is enabled, so if you don't see your comment right away, check back later after I approve it! :) Thanks so much for stopping by! Copyright © 2011-2019. All Rights Reserved. Simple theme. Powered by Blogger.